Roads were built very slowly in the early days of the town due to limited financial resources, and mud was a major problem, especially through the winter months. 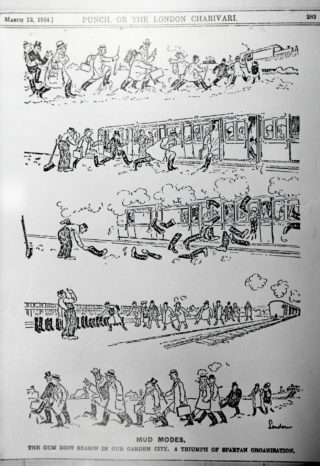 “Punch” magazine lampooned the situation in 1924 with a full page cartoon showing city gents racing to catch their train at the station halt through the mud and mire. 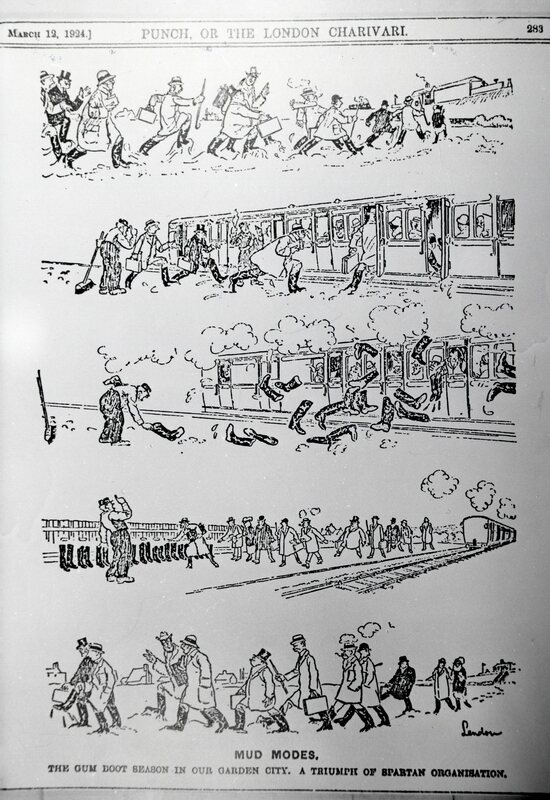 On boarding the train it then showed them throwing their wellington boots out of the window and being collected by the station porter who placed them in neat rows. On their return they changed back and waded home. The cartoon was called “Mud Larks in our Garden City”. This page was added on 14/05/2009.